Former Fugees singer, Lauryn Hill, is in some trouble with the IRS. Lauryn Hill was a former band member of the Fugees. 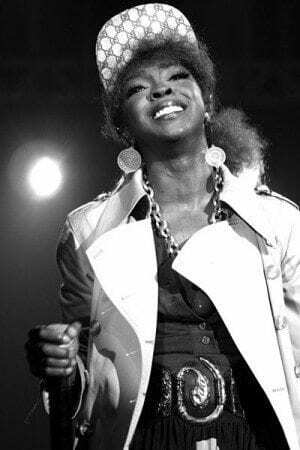 After the Fugees, Hill began her solo career and was made-known for her critically acclaimed solo album “The Miseducation of Lauryn Hill.” The album sold about 10 million copies, as well as winning five Grammies. Hill left the public eye to raise her six children—five were fathered by Rohan Marley, son of Bob Marley. Hill is the owner and operator of four companies, Obverse Creations Music Inc., Boogie Tours Inc., L.H. Productions 2001 Inc. and Studio 22 Inc. This isn’t the singer’s first run in with the law. Hill settled a suit back in 2001 after a few Newark musicians accused her of cheating them out of production credit, according to NewJersey.com. The amount was undisclosed. South, N.J. is where Hill resides. Hill is scheduled to appear in court on June 29 before U.S. Magistrate Judge Michael Shipp in Newark.